Win! Win! Win! New Competition Launched! We’re delighted to announce a competition we’ll be running over the next couple of weeks. 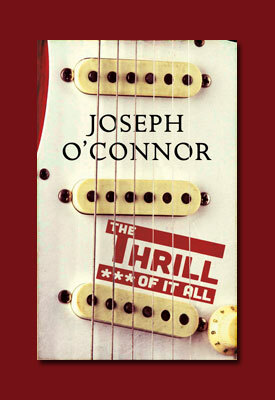 Professor Joseph O’Connor – the Chair of Creative Writing in UL – has very generously donated three signed copies of his bestselling new book ‘The Thrill of It All’ to the Ogham Stone Literary and Arts Journal. These would make the ideal Christmas gift for anybody who has a love of Irish literature or even their own fond rock and roll memories! We’ll announce the winners when we close our call for submission in a couple of weeks. Good luck and don’t forget to get your poetry, prose or fiction submissions to us asap! See below for just a tiny taster of the critical praise heaped on ‘The Thrill of it All’! JOHN BOYNE, AUTHOR OF THE BOY IN THE STRIPED PYJAMAS.